"STOP Fighting Over the Kids is a well-thought out and comprehensive guide based on this caring attorney's years of experience in dealing with divorce wars. His advice is sound, compassionate and valuable for any parents facing the challenges of divorce. If you want to protect your children in the best possible way, I highly recommend this book." "STOP Fighting Over the Kids provides the tools, resources, and insight that every divorcing parent needs. You will learn how to promote and foster the right mindset from someone who has walked the walk." Hello. Mike Mastracci here with a special free and 100% transferable offer just for you and anyone you care to forward this to! For a limited time, get a free PDF copy of my award winning book, Stop Fighting Over the Kids: Resolving Day-to-Day Custody Conflict in Divorce Situations. With more than 20 years of professional and personal experience to share and having traveled down that path both as an attorney and as a father, I know what this stuff looks and feels like. 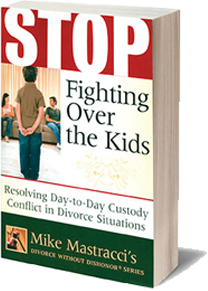 Stop Fighting Over the Kids offers unique insight and perspectives that are not taught in law school and not shared by most divorce and child custody lawyers. Stop Fighting Over the Kids is widely acclaimed and has saved countless people thousands of dollars and years of unhappiness. If you like it as much as everyone else does, for a limited time, you may share this memo and link to the free 340 page PDF version with others. In these tough economic times, cost alone should not prevent anyone from having access to valuable information that can improve the quality of life for their children. 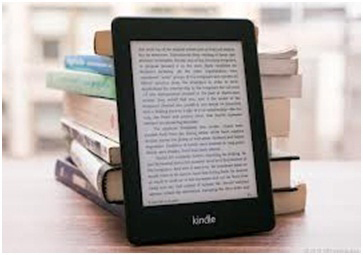 If printing out 340 pages is not your thing, you can purchase the paperback through Amazon and digital version through Kindle. Please consider requesting your local public library to add Stop Fighting Over the Kids to their self-help collection or visit www.publiclibraries.com. If you have any questions or need any additional information, please feel free to contact me directly. "Spent energy has no value in the here and now. It's over; it's done. It got you where you are, good or bad, but where you go from here is up to you."